In fiscal 2019, the federal government is doubling down on its shift to the cloud. After investing more than $4 billion on cloud services government-wide in 2018, agencies are on track to top that figure in 2019 and unlock the value of key supporting technologies, such as data analytics and artificial intelligence. What have agencies accomplished and what’s left to be done? How are the government’s needs for cloud capabilities evolving? How is the journey to the commercial cloud different from what’s come before? How can government technology leaders better prepare their teams for what’s ahead? What is the U.S. government’s role in the development of AI/ML technologies? What can federal agencies do to accelerate public sector adoption of AI/ML? What should we expect from the forthcoming National Artificial Intelligence Strategy? 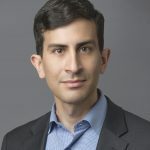 Daniel Castro is vice president at the Information Technology and Innovation Foundation (ITIF) and director of ITIF's Center for Data Innovation. Castro writes and speaks on a variety of issues related to information technology and internet policy, including privacy, security, intellectual property, Internet governance, e-government, and accessibility for people with disabilities. 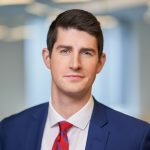 His work has been quoted and cited in numerous media outlets, including The Washington Post, The Wall Street Journal, NPR, USA Today, Bloomberg News, and Bloomberg Businessweek. In 2013, Castro was named to FedScoop’s list of the “top 25 most influential people under 40 in government and tech.” In 2015, U.S. Secretary of Commerce Penny Pritzker appointed Castro to the Commerce Data Advisory Council. Castro previously worked as an IT analyst at the Government Accountability Office (GAO) where he audited IT security and management controls at various government agencies. He contributed to GAO reports on the state of information security at a variety of federal agencies, including the Securities and Exchange Commission and the Federal Deposit Insurance Corporation. In addition, Castro was a visiting scientist at the Software Engineering Institute in Pittsburgh, PA, where he developed virtual training simulations to provide clients with hands-on training of the latest information security tools. He has a B.S. in foreign service from Georgetown University and an M.S. in information security technology and management from Carnegie Mellon University.